We’re havin’ a comdoll special today, brothas! 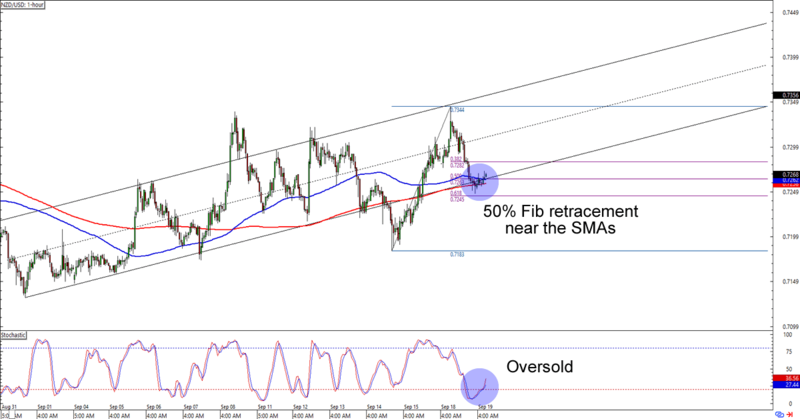 Take a look at these short-term trend plays on AUD/USD and NZD/USD while they’re hot! Guess who’s back, back again? It’s the Aussie, yo! After almost reaching the .8150 handle, AUD/USD has fallen back to the .7950 area. What makes the level more interesting is that it lines up with a rising channel support that hasn’t been broken since mid-August. Think the Aussie is in for more gains against the Greenback? The pair has already bounced from the channel support area, but it could still reach its previous highs closer to .8050 if it gets enough momentum. Just be careful about your profit targets, aight? 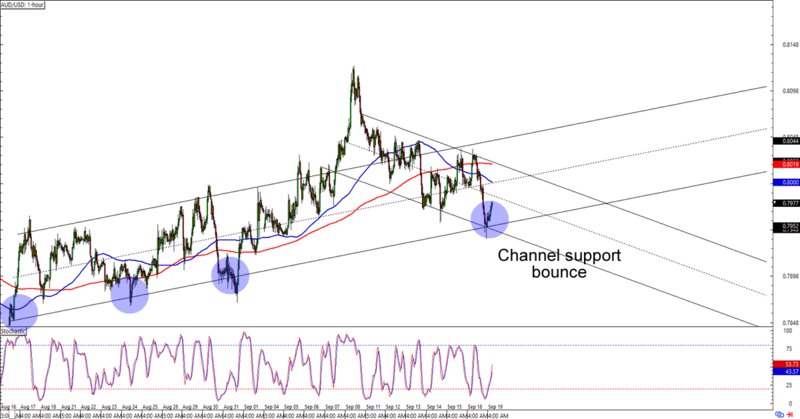 With the pair’s higher lows and lower lows, we could also be looking at a falling channel support that could take the pair for another bearish run once AUD/USD hits .8050! Here’s a nice and simple one for ya! NZD/USD looks like it’s about to bounce from the .7250 minor psychological area, which is right smack at a 50% Fib retracement near the 100 and 200 SMAs AND a rising channel support on the 1-hour time frame. The cherry on top of this sweet setup is an oversold stochastic signal. But will Kiwi soon gain enough bullish momentum? Buying at current levels could get you a sweet reward-to-risk ratio especially if you aim for the previous highs near .7350. If you’re one of them Kiwi bears, though, then you could also wait for a break below said support levels before placing your short trades. Either way, make sure y’all have your trading plans locked in so you won’t mess up your execution and fail to manage your risk.